Stablizes the foot post operative/recovery. 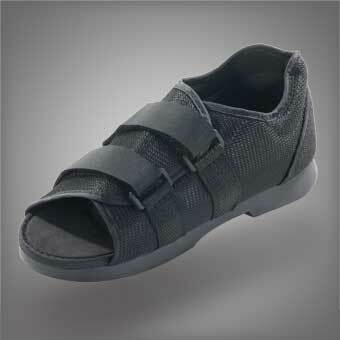 Accommodates foot dressings and edema. The reinenforced heel counter provides optimal medial and lateral control. It it made from breathable nylon mesh upper, a padded collar and has adjustable hook & loop closures with a non-slip sole.